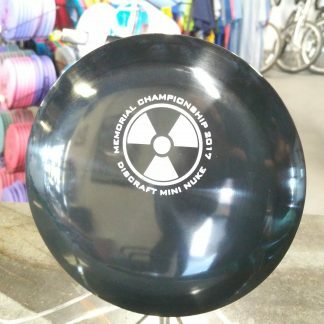 Another killer collectible from our friends at Discraft! These SuperColor Mini Buzzz are a little different than ones you may have seen. They are made from the Midnight Z material and look great. Discraft ran 500 for us, they will be in the Am packs and I’m putting 20 up here for folks that can’t make it to Scottsdale!